Greece: Sunday, September 1, 2013, at age 76. She is survived by her children, Larry (Tracy) Freese, Tom (Laura) Freese, Barbara (Scott) Fraser and 6 granddaughters. 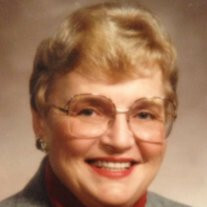 The family of Virginia Henningson Freese created this Life Tributes page to make it easy to share your memories. Send flowers to the Freese's family.